Building upon Rachel Carson’s famous maritime observation, we will investigate and interrogate the “strange and beautiful place” of genre-blurring work—work that melds elements of creative non-fiction and poetry. The primary focus of this hybrid class will be generative. We’ll have plenty of time for in-class craft analysis, discussion, and writing prompts galore that will send you home with several solid drafts of new work. Ideal for writers at any level of experience looking for a vibrant shake-up to their writing practices long after the conference is over. 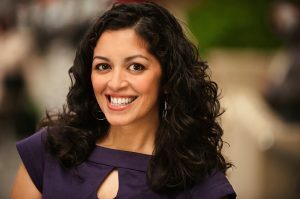 Aimee Nezhukumatathil is the author of four books of poetry: Oceanic; Lucky Fish, winner of the Hoffer Grand Prize for Prose and Independent Books; At the Drive-In Volcano; and Miracle Fruit. With Ross Gay, she co-authored Lace & Pyrite, a chapbook of nature poems (Organic Weapon Arts). She is the poetry editor of Orion magazine and her poems have appeared in the Best American Poetry series, American Poetry Review, New England Review, Poetry, Ploughshares, and Tin House. Awards for her writing include an NEA Fellowship in poetry and the Pushcart Prize. She is professor of English and creative writing in the MFA program of the University of Mississippi.